“It we are ever to enjoy life, now is the time, not tomorrow or next year . . . Today should always be our wonderful day.” — Thomas Dreier Something our dear pets already know! 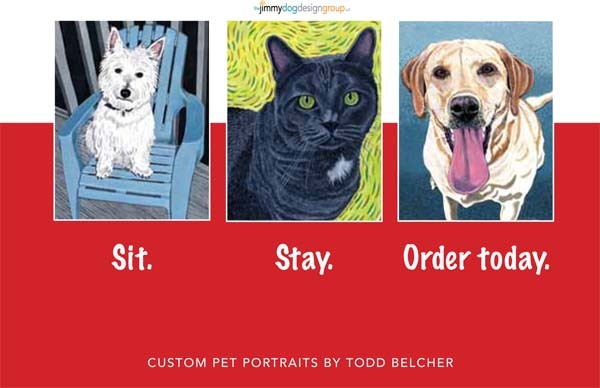 Why give a pet portrait? Time to Deck the Halls! Looking for original, hand made, local art? Make sure to shop the Sawtooth’s annual art sale Deck the Halls. Todd is featured along with many other wonderful local artists. Fine art gifts in small packages. 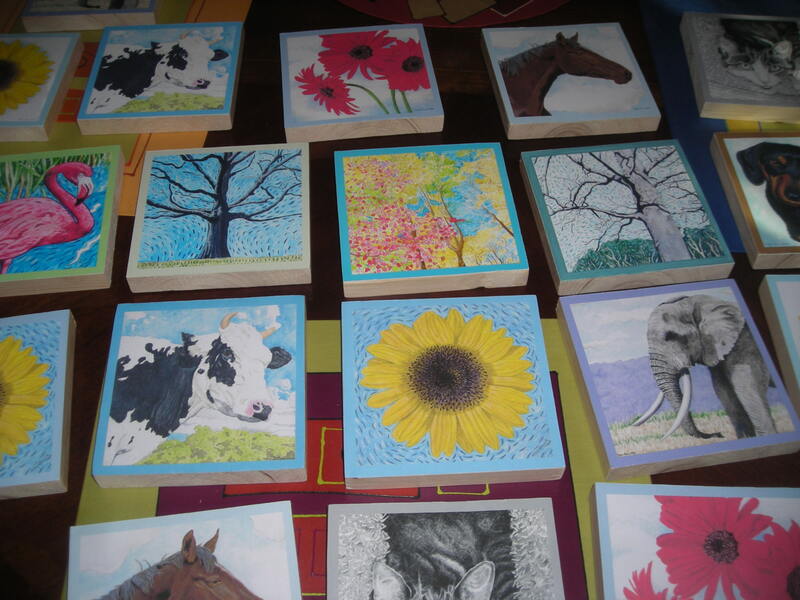 10″x10″ wood blocks ready to hang or display with included easel. Only $20.00 including S&H. Remember to shop local and support local artists.